Drakeley Pool Company is an award-winning luxury watershape design and construction firm. We serve Connecticut, New York, and Massachusetts. We specialize in high-end residential and commercial projects, including renovation, designed for the unique New England environment. Drakeley Pool Company is also home to a complete service division, providing comprehensive care for swimming pools, spas, and other water features. in the design, construction, and concrete industries. Bill Drakeley, principal and founder, is a third generation pool builder and a leader in the North American concrete construction industry. Bill is the first and only pool builder to sit as a Voting Member on the American Concrete Institute (ACI) Committee 506 Shotcrete. He is also Chairman of the ACI Pool Shotcrete Subcommittee, and is the former president of the American Shotcrete Association. Advocating for high industry standards through education and training, his technical writings have been widely published. Kerri Allmer, office manager, joined the firm in 2016. With over a decade of executive-level support experience, she provides organizational assistance to the firm's construction and service divisions. Kerri ensures the details of each project are handled with care. She holds a Bachelor's degree from Quinnipiac University and a Master's degree from West Virginia University. She is a current student of Genesis 3 University, pursuing membership in the Society of Watershape Designers. Lisa Dayton, accounting, maintains all financial records for both Drakeley Pool Company and the consulting firm Drakeley Industries. She joined the firm in 2009 and holds a degree in accounting from Post University. Billy Drakeley III, CFA, business strategist, ensures efficient operation across all company departments. Billy also assumes the role of financial analyst, identifying future growth opportunities for the firm. He is a CFA charter holder who passed all three levels on the first attempt. 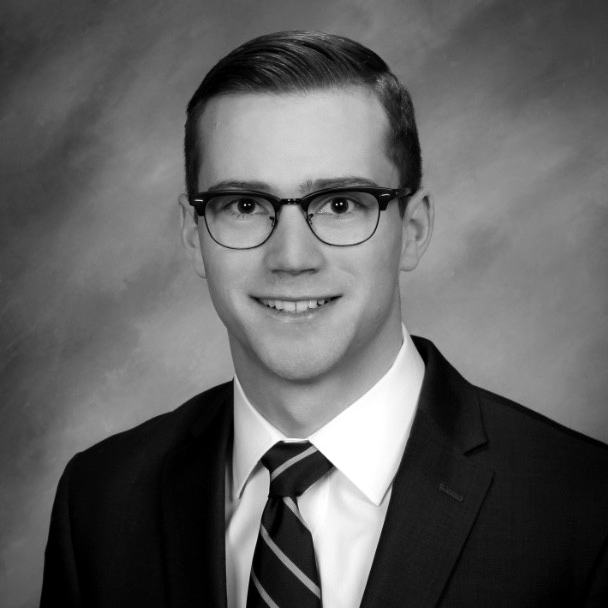 Billy has been involved with the firm since he was a teenager but rejoined the company full time in 2018 after his four year tenure as an Investment Analyst at FCI Advisors. He holds both a Master's degree and Bachelor’s degree in finance from Bentley University. Rebecca LoRusso, service coordinator, joined the firm in early 2018. During her tenure, Rebecca has focused on increasing efficiency and communication within the service department, and increasing customer service offered to our maintenance clients. She oversees our inventory and purchasing department, and offers support to the construction department when needed. Prior to joining Drakeley Pool Company, Rebecca attended Porter + Chester Institute. Amanda LoRusso, office assistant, is a recent graduate of SUNY Cobleskill. She holds a Bachelor’s degree in Agricultural Business Management and an Associate’s degree in Dairy Production and Management. Amanda offers daily administrative support and is currently assisting our firm transition to a completely digital environment. She also offers in-field assistance to our construction department, aiding in pool layouts and heavy machinery operation. Amanda joined the firm in 2019, but has been involved with the business for years in an unofficial capacity. Dan LoRusso, superintendent, has been central to the successful completion of all construction projects since the company's founding in 2000. Advising on project design and efficient execution, Dan oversees all field operations and works closely with both clients and senior management. He is an American Concrete Institute (ACI) certified nozzleman and a member and nozzleman of the American Shotcrete Institute (ASA). Dan is also a heavy machine operator, holds a CDL, and is OSHA 10 certified. Dan's work and leadership has been recognized nationally. Rick Schivera is the company's lead foreman. His oversight and presence in the field ensures a quality installation at each phase of construction. He has been with the firm since 2008. Rick is our lead nozzleman and who will be entering the American Shotcrete Association’s nozzleman-in-training program in preparation to become an ACI certified nozzleman. Rick is a graduate of Genesis’ basic and advanced construction schools and has completed their basic fluid engineering course. He also holds a CDL and is OSHA 10 certified. Brian Woodward, master technician, is the firm's lead plumber. He oversees the installation of all filtration systems, both residential and commercial. He has been with the company since 2000. Brian holds his SP-2 Spa and Pool Journeyman license, is an Advanced Service Technician (AST), Certified Pool/Spa Operator (CPO), and is OSHA 10 certified. John Illes, Sr. is the company's head mason, and is also a vital member of our shotcrete and steel crew. He joined the firm as a subcontractor in 2000 and has worked on a variety of different masonry projects. John is OSHA 10 certified. Mark Papprazzo has been a subcontractor and carpenter in the firm's construction and renovation department since 2000. He is a member of our forming, steel, and shotcrete crew for all residential and commercial projects. Mark is OSHA 10 certified. George Hungerford is a heavy equipment operator in our construction and renovation department, assisting on both residential and commercial projects. George joined the firm in 2015. He holds a CDL and is OSHA 10 certified. Ralph Schuler is a subcontractor for the firm's construction and renovation department. He is a talented mason, arborist, and machine operator, and is a member of our forming, steel, and shotcrete crew. Cedric Clift, laborer, offers assistance on our forming, steel, and shotcrete crew. He also serves as a plumbing apprentice on new pool construction projects with our master plumber. Cedric joined the firm in 2018. Jamie Pieger, maintenance coordinator, has been with the firm since 2006. Jamie's oversight of our service and maintenance division ensures that each of our clients receive a personal level of care. He also assists our construction crew as concrete pump operator. Jamie's credentials include Advanced Service Technician (AST), Certified Maintenance Specialist (CMS), and OSHA 10. He is a graduate of Southern Connecticut State University. Brian Stewart, head technician, is responsible for the care of all service accounts as well as overseeing the continued education of our service crews. He has been with the firm since 2009. Brian's credentials include Advanced Service Technician (AST), Certified Pool/Spa Operator (CPO), Certified Maintenance Specialist (CMS), and OSHA 10. Brian is also a certified National Plasterers Council (NPC) Start Up Technician. He holds a mathematics degree from University of Connecticut. Mike Arbelo, service technician, is a Certified Maintenance Specialist (CMS) and is OSHA 10 certified. Mike also supports the construction department, offering assistance to our master technician during complex installations. He has been with the firm since 2014. John Illes Jr., service technician, is a Certified Maintenance Specialist (CMS) and is OSHA 10 certified. He joined the firm in 2016.